It was exciting to be in Berlin for Photo Hack Day 3 organized by EyeEm. The start of the trip was quite challenging – lightning struck the Bulgaria Air plane we were supposed to take for Berlin. At least there was quite good internet connection at Sofia Airport so the 3 hours waiting for the aircraft replacement were not completely wasted. The journey started with a beautiful rainbow over the airport that we managed to fly over. Good sign for what’s to come in Berlin. Berlin is lovely. Getting around is quite easy. The startup ecosystem is thriving so there are lots of opportunities to network. Straight from the airport we ended up attending Uber barbecue marking the startup’s operations in Berlin. Met lovely new people, all with interesting story and a startup. 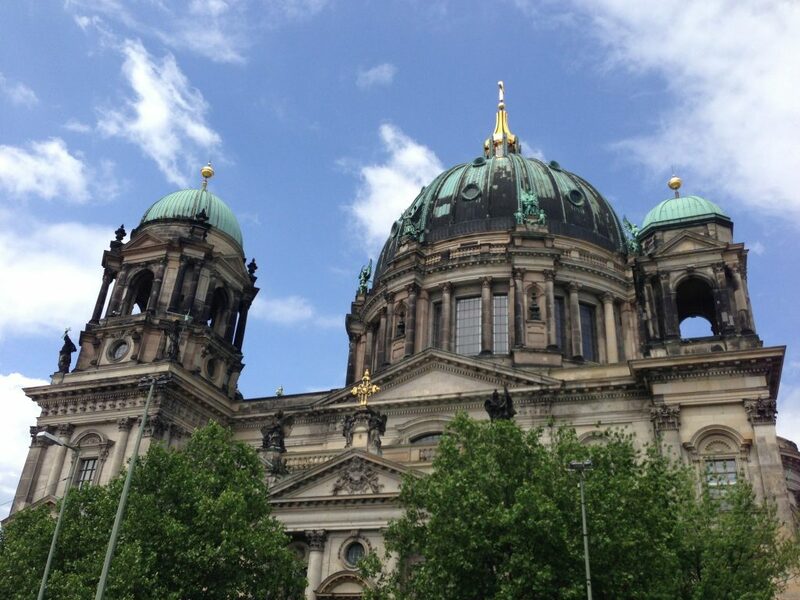 Need to say that if you have not been in Berlin, you will be surprised how interesting the startup scene is. The spirit of Berlin can be seen in the way people dress, live, talk, interact. It’s a vivid mixture of the modern world with a small hipster touch that can be easily seen everywhere. 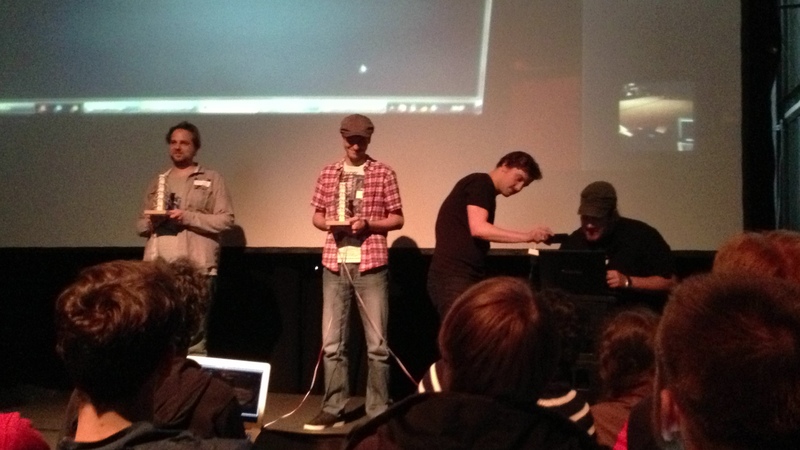 And here we are at Photo Hack Day opening, where Georgi presented Imagga APIs. It’s interesting to see some competitors also presenting and partnering the event. 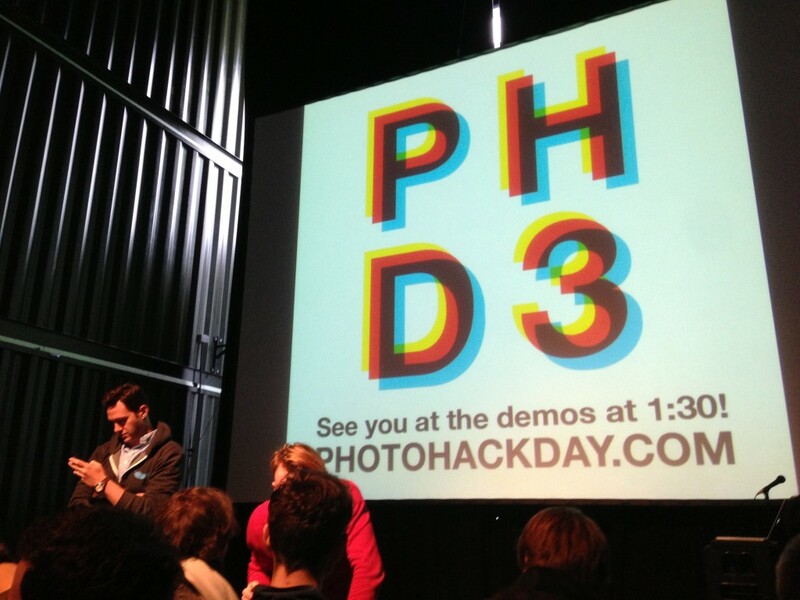 This is the third edition of Photo Hack Day organized by EyeEm in Berlin. The event itself was awesome. Over 150 hackers attended and the crowd was really international – lots of local talent, but also some Americans, French, Norwegians, etc. The API partners had awesome technologies for the participants to play with, including Imagga’s color search and smart-cropping. Right after partners announcements and the hack ideas were presented, there was an instant team formation. Maybe the use of a great service like Hacker League helped people to get to know each other and form teams easily. 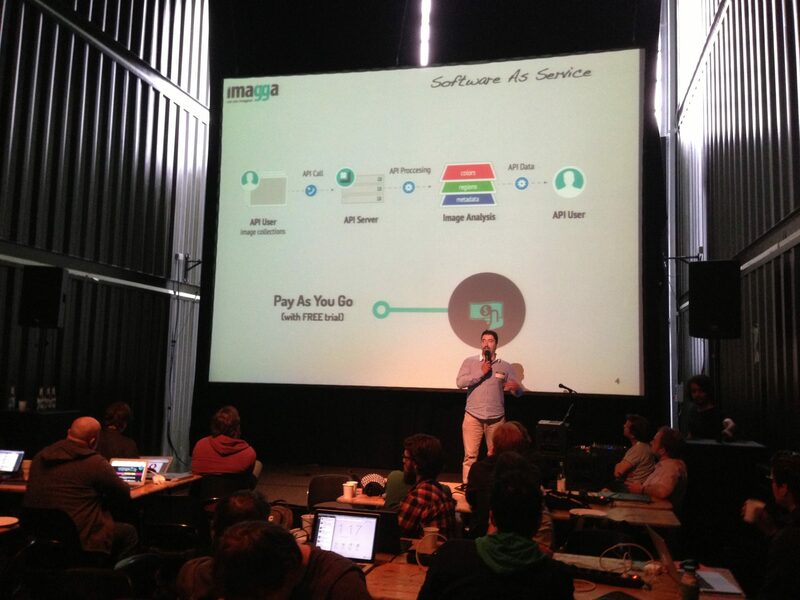 Imagga’s APIs were quite interesting to the participants. Almost half of the teams signed up, which is great. Two of the teams actually used the APIs at the end. Our special prize went to Ambeer – awesome idea that uses Imagga Color API to recognize the predominant colors of an image and then add ambient light in the room. It’s awesome that Imagga’s technology that made the magic work. The idea also got $250 in cash and $2500 in API usage from us. The project also won the official 2nd prize of the event, so some additional recognition for Imagga as well. Even though we were API partners during the event, we couldn’t resist Fotolia’s challenge to hack something with Imagga and Fotolia APIs. The idea was born in a very interesting conversation on the future of micro-stock photography and how Imagga’s auto-tagging can actually be of benefit for the photographers in both saving time for tagging and improving the quality of the tags. So out of that the idea ‘Pimp Ma Tagzzz’ was born. 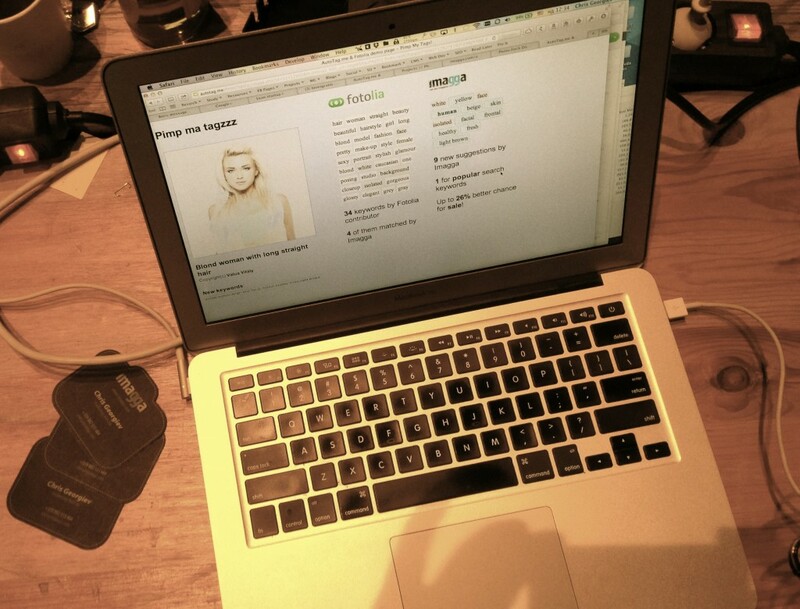 It plugs Fotolia APIs and pulls search results from there. When you select a picture, we display Fotolia tags along with tags automatically generated by TaggRe (this is the fancy name we use for our auto-tagging technology). The words that are present in both tag clouds are colored in gray and the new tags that we suggest are in blue. Some of them are emphasized in bold to show they are considered as top search keywords in Fotolia. The auto-tagging technology is still in production mode and there is room for improvement of the tags’ quality. But even with the current state of the technology it’s visible we can help photographers significantly improve their image ratings by auto suggesting relevant tags. Visiting Berlin and being part of the startup ecosystem just for a weekend was awesome experience. We will be coming back soon!